Supreme Court Justice Ruth Bader Ginsburg&apos;s surgery for pancreatic cancer has led to speculation about who might fill the seat among The Nine if the illness forces her to retire. 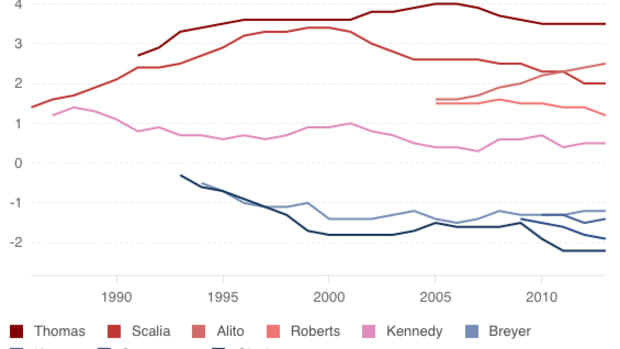 While there will be a lot of constituencies that supported Barack Obama&apos;s presidential bid hoping to belly up to the dais, we&apos;d like to point readers to advice that we&apos;ve already provided about future Supreme Court appointments. In our "Unsolicited Advice" to the new administration in the latest issue of Miller-McCune magazine, Cornell W. Clayton, director of the Thomas S. Foley Institute for Public Policy and Public Service, asked for "a return to balance" in judicial appointments. "By balance," Clayton explained, "I do not refer to partisanship or ideology but to life experience and public stature." As such, they brought the concerns of the people whose lives they would change into their decision-making, he continued. So, did Clayton, as it were, name names? Yes (spoiler alert!). 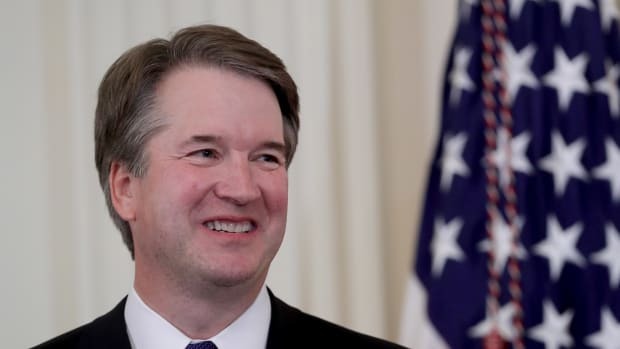 "When it comes time to pick the next Supreme Court justice, please do not limit your thinking to academic lawyers or lower court judges; think of individuals such as Massachusetts Gov. Deval Patrick, former Housing and Urban Development Secretary Andrew Cuomo or U.S. Sen. Hillary Clinton, who are lawyers but have led distinguished lives outside the legal system, too." And if you liked that tip for Obama, we got more of &apos;em right here. 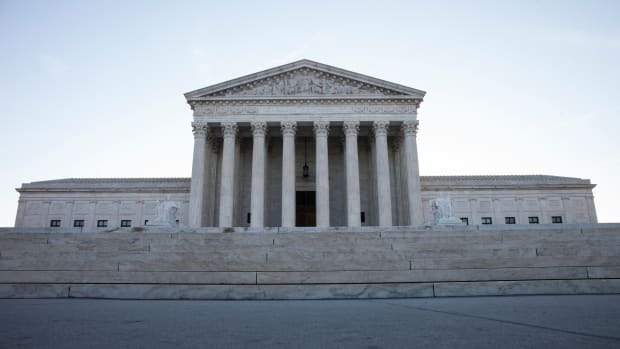 The Supreme Court just ruled that employers can require employees to agree to arbitration and waive their rights to file class-action lawsuits. What experts on constitutional law and civil rights are saying about Brett Kavanaugh, Trump's new Supreme Court nominee. Where does Merrick Garland fit in?